The two photos above were taken by an American Army Captain on the day of the incident. He had been ordered to informally gather information. He maintains that he turned ALL of his photos over to the FBI…but the pictures never surfaced, nor were they provided to the defense until the middle of the trial in 2014. How can photos go missing for 7 years when they were included in a packet given to the FBI in 2007? In any criminal court in the US, when the prosecution appears to hide evidence, that case could be dismissed. The FBI claimed it was an innocent mistake. But the track record of this administration does not support anything “innocent.” Recently, Federal Judge Andrew Hanen blasted DOJ attorneys for misleading him in reference to his ruling on immigration. 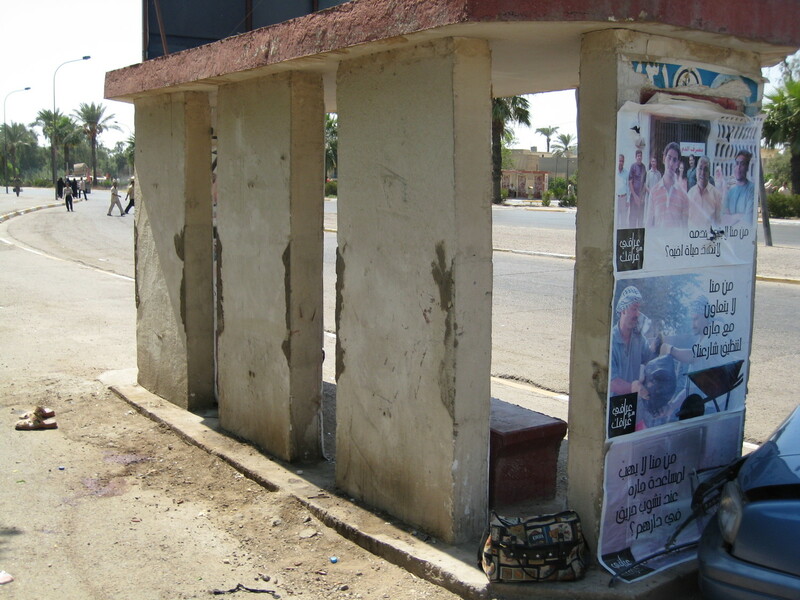 The structure is the bus stop in Nisur Square. 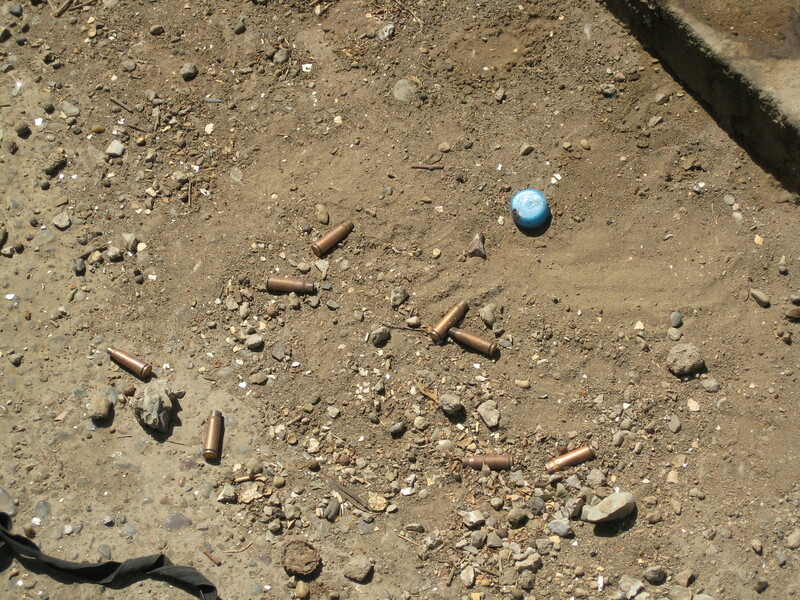 The shell casings on the ground are from AK-47 rounds used by Iraqis and insurgents. These pictures provide compelling evidence that the Raven 23 team took incoming fire. After the photo was taken, but before the State Department investigated three days later, these casings (and how many others) had disappeared. Nisur Square had been scrubbed clean of evidence. One witness was a non-Blackwater contractor working just north of Nisur Square. Being a firearms expert, he testified to hearing a clear two-way firefight, and had AK-47 shell casings drop near him. That testimony was also virtually ignored. The brutal fact is that someone was shooting from behind that bus stop structure- did these enemy shooters also shoot some of the alleged victims? A video tape of the Square never made it into evidence, even though it was made just after the incident by another (not Blackwater) contractor from “Tower 8” and directed southward toward Nisur Square. Upon my own review of that video, with the exception of the white Kia on fire, I saw no dead bodies littering the Square, no one rushing out to pick up the victims, no ambulances, no private vehicles that could have taken them to the hospital. The white box pickup at the rear of the white Kia supposedly had one victim that Ridgeway shot, but without special equipment, the alleged victim was not discernible. Dustin Heard suffered a burn to his arm during the fire fight. Ridgeway told the prosecutors that Heard said it was a tracer round, but under pressure, suggested it might have been a pen flare. At trial 7 years later, Ridgeway even changed the color of the “flash” he claimed to have seen from “red” to “green red.” For 7 years, the DOJ NEVER told the FBI to test Heard’s clothing for a tracer round. The government’s own expert admitted they only checked for a pen flare. After the Defense grilled their expert, the prosecution sent an email to the expert witness and asked him to test for a tracer round. The “expert” then looked up the components of a tracer round on the internet– and never actually tested the clothing. The prosecutor, realizing he was caught trying to skew the evidence, tried to belittle Dustin Heard by saying there is no way he could have escaped serious injury had it been a tracer round. The problem is that Heard’s clothing was NOMEX – designed specifically to protect the wearer against such things. This is only a fraction of the inside story about the Blackwater trial. Four men, Nick Slatten, Paul Slough, Evan Liberty, and Dustin Heard, were sentenced on April 13, 2015. Did they take enemy fire? Yes. Who were the victims? That is up for debate, as no autopsies or forensic evidence was completed. Those and many other questions reveal the most important part of any criminal case: reasonable doubt. That these men may spend the rest of their natural lives inside prison walls because of a trial that in every way showed reasonable doubt is unbelievable. Their families, their wives, children, and loved ones will pay the price along with the defendants. Rule 29 is a legal issue that states if the prosecution fails to prove their case beyond a reasonable doubt, it must be dismissed. 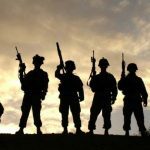 The prosecution didn’t just fail; they rode over the top of the law and the evidence, discounting the testimonies of Americans who were there at the time in favor of spurious Iraqi witnesses. In spite of the lack of evidence, in spite of the testimony, in spite of the truth, the defendants were convicted. Remember the quotation from the 1817 Inaugural address of our 5th President, James Monroe? Was there any national honor in the way this trial was conducted? I submit there was none.